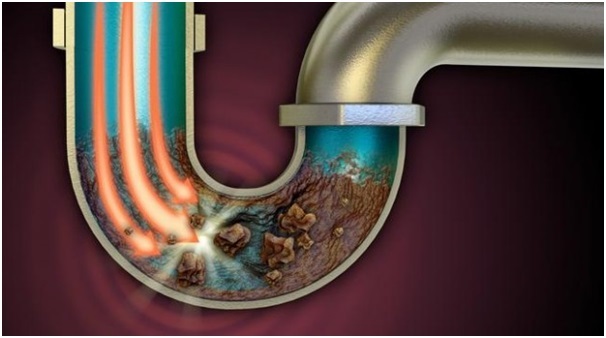 Clogged sewer is a normal situation and it happens more often than you probably think. Everyone experienced a clogged sewer in their life. It’s not a pleasant thing to see, but it is something that simply happens for a number of reasons. How to handle this situation is the topic of this article. Let’s see some things connected with the clogged sewage system. The sewage drain can get clogged for numerous reasons. One of the most common reasons in the plumbing industry is intervening after sewage got clogged because of a child’s toy. Children don’t understand the problem with this and don’t realize that the pipes going in the city sewage are too small for some of their toys. When they throw something in the toilet and flush these toys go into the sewer, but get stuck somewhere on the way. Another place where the sewer gets clogged is the kitchen. Cooking oil in a combination with some harder materials can create a real problem. When some leftovers go inside the sink, they mix with the cooking oil that makes everything become sticky. More things stuck together will form a ball of solid garbage that is hard to go through and even the pressure from the water is not enough. Technically, yes, you can. When something like this occurs you have no reason to call the plumbers right away. First, try to use gravity. Yes, gravity. A lot of water pressure on the place that is clogged can make it unclogged. If this is not working you should try the plunger. Press over the sink drain and create even more pressure. This still might not be enough, and if you fail this too, then it’s better to call the pros. The problem might be bigger so it’s wise to look for a good cleaning service. Where to find professional cleaners? Professional cleaners of clogged drains are called plumbers, of course. Plumbers have a wide range of duties around your house and cleaning the sewer is one of them. In order to find a proper sewer drain cleaning company, you need to look for professional plumbing companies that are licensed and experienced in this. The best way to do this is to look up the internet. There are many websites offering a list of plumbing companies with short info about them and reviews from their customers. Read about previous experiences other people had and make a decision. Aside from the people’s opinion on the professionalism and success of the guys you choose, make sure you ask for a license and insurance. You need to be sure that people coming in your home know what they are doing, but even if an accident happens, the insurance will be able to cover it. You don’t want to be responsible for someone else’s injury or paying for the mess they create. Plumbers have a set of tools that will probably solve your problem in a matter of seconds. They have special tools that go inside your sewer and locate the problem. The new and modern plumbers even carry small cameras and flashlight that show exactly what’s happening in the pipes. Here’s how it looks on this link. When they locate the problem they’ll understand what needs to be done. If the problem can be solved with a simple push with some of the specialized tools, then all the better, if not, the plumbers will explain to you what must be done. Sometimes the problem is bigger than expected and aside from the plumbing work, you’ll need a contractor that will correct eventual holes in the walls or in the ground. Before doing anything like this, consult the plumbers how to do the intervention easier and also, ask how much it will cost you. A clogged sewer in most cases is nothing serious. Most of the times you can handle it on your own with a simple pressure made from the plunger, and sometimes a plumber will come and give it a push with their special tools for this. Rare cases will ask for opening walls and looking for the place where it is clogged. Previous Previous post: Could termites be destroying your home?